As summer comes to a close and the weather begins to change, our daily routines and patterns are altered too. We may need to add that extra blanket back to the bed, slip on a sweater for our morning walk, and remember our family’s schedules are picking up again for the fall. Back to school is an exciting time for grandchildren and great-grandchildren, but it can be hard to accept that they won’t have as much time for visits as they do in the summer. Senior Living Management has a few ways for you or your loved one to adjust to the children in your lives heading back to school. You don’t have to buy a fancy gift for your grandchild as they go back to school. But a thoughtful gesture or small trinket can mean the world to a child. Based on what you know of their interests and loves, you can sew a simple book bag in their favorite color, find a card or figurine of their favorite character to write a special note, or give them a photo of the two of you. The small item will be a signal to both of you that you won’t be seeing each other as often, and a memento of the wonderful summer you had. Maybe you’ve been waking up a little later over the summer to have more energy for your grandkids in the afternoon. Or perhaps you expect them at a certain time of day based on their vacation routine. Leaving your schedule open at those times will only leave you feeling sentimental or down. Instead, adjust your own schedule to fill that time with other activities. With a little more time on your hands, now is the perfect opportunity to try a new hobby or pursue an old interest again. Senior Living Management communities all offer a full calendar of events and activities to choose from, so you can have something to look forward to and make some new friends! 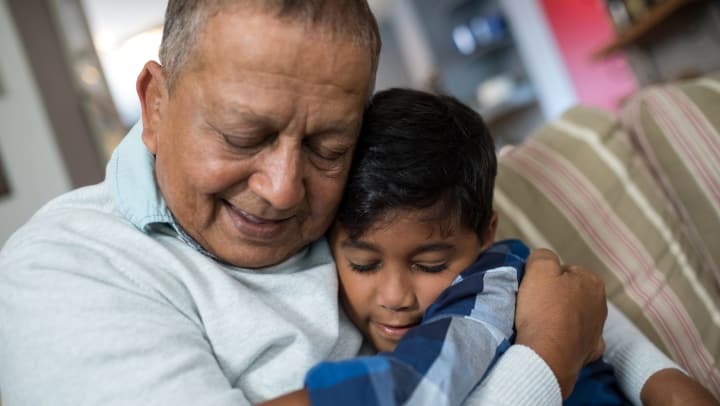 Maybe you love joining neighbors in new activities, but miss the challenge of teaching your grandchild, being a role model, or connecting with someone of a younger generation. Even if your grandkids live far away, you can volunteer in a local school to read with children, join a program where area students visit seniors, or learn how to video chat your own grandchildren to make face-to-face time simple. Although saying so long to summer and the extra time with grandkids can be tough, hopefully some of our ideas at Senior Living Management make the back-to-school transition easier. Check out our blog for more senior living tips, or visit our website to learn more about Senior Living Management communities.